This episode was written & produced by Jim McNulty. When people in Hawaii were falsely alerted of a Ballistic Missile threat, the first thing they heard was the sound of an emergency alert. For decades, this tone has alerted us to local weather emergencies and other important events, but it has never been used for its original purpose. In this episode, we explore the history of the Emergency Alert System and its predecessors. Featuring Kelly Williams, from the National Association of Broadcasters, Frank Lucia former EAS advisor for the FCC, and Wade Witmer from FEMA. Get a 4 week trial plus a digital scale at Stamps.com. Just click on the Radio Microphone at the top of the homepage and type in "20K". So, that wasn’t a real emergency. But that distinctive, dissonant tone got your attention, didn’t it? And for good reason. That sound has accompanied weather alerts and other important warnings here in the U.S. for decades. It’s a key part of the Emergency Alert System, or EAS. But had this been an actual emergency, it would have been followed by official news or instructions from local emergency managers… or the National Weather Service, or in the case of a national emergency—the President of the United States. Kelly: The Emergency Alert System, is a mechanism that’s intended to allow the President to speak to the American people in times of catastrophic emergency. That’s Kelly Williams, from the National Association of Broadcasters. The EAS is primarily used by local authorities. They send warnings by way of broadcast, as well as cable, satellite, and wireless providers. It falls under the authority of FEMA— which is The Federal Emergency Management Agency. But the coordination and enforcement of regulations… at least in regard to broadcasters is through the FCC. Wade: The FCC actually protects that tone in broadcast and in movies, so you're not allowed to use what's called the attention tone unless it's a real emergency, unless you have a waiver from the FCC that you're performing a test. The FCC takes these alert tones so seriously, that airing this podcast on a broadcast station—and using the tones at the top like we just did—would be subject to significant fines! Kelly: There have been a number of cases where a station gets an ad and it's in the ad. There was one for a movie. Olympus Has Fallen. And the ad agency that did the distribution, "Oh, let's put the EAS tones in." The ad resulted in $1.1 million dollars in FCC fines against Viacom and Disney. So, Why are these tones so protected? Also, how did we land on this tone in particular? To understand that, we have to go back to the height of the Cold War, and the systems that predated the EAS. Frank: My name is Frank Lucia and I worked as an EAS Emergency Alert System Advisor to the FCC. Frank spent 36 years at the FCC. Both he and Kelly have worked together on many of the national advisory committees over the years, and Frank continues to consult on issues regarding the EAS, even in his retirement. Frank: Back in the 50s, that's when the first advisory committees were set up by network industry people, and broadcast engineers, to come up with a system that would best work. The system they developed was called CONELRAD, or Control of Electromagnetic Radiation. Kelly: The way planes navigated back then was by listening to radio stations and zero in on radio stations, so if the bombers are coming across the Atlantic, shut off the radio stations. Then you don't know where Cleveland is because there's no radio station. Frank: The CONELRAD system was developed under President Truman. Its main mission was to have certain broadcast stations to go off the air, but those that remained on the air, were required to change frequencies to the 640 and 1240 signals. Kelly: This idea was to have a channel that the public knew they could go to, so if you can find a real, old radio, you will see a triangle on the radio and you could tune and say, "Here's one of those two frequencies where there's emergency information," That started the part of alerting the public but also getting the radiation down. In the early 1950s, President Truman was concerned about the growing conflict in Korea, and worried it could result in attacks on American soil. Put yourself into that Cold War, “Duck-and-cover” mindset, and you realize that there was a very real concern that an atomic attack could happen at any time. The Federal Civil Defense Administration even ran public service announcements featuring big name stars, urging people to be prepared. When it came time to test this CONELRAD system, let’s just say the signal was very 1950s. Frank: In 1963, the Emergency Broadcast System was established to expand the use of emergency information to all stations. Under President Kennedy, they decided to let all the stations stay on their regular channels and provide the emergency information. Because the missile technology had advanced to the point where they used other guidance systems and it didn't have to be so much to track the signals of broadcast stations. The Emergency Broadcast System, or EBS, is what most of us over the age of 35 remember from our youth. And it was the EBS that first debuted our iconic dual-frequency tone. Frank: The major networks, wanted to come up with another way because it was hard for engineers to deal with some of technical problems that CONELRAD brought about. The industry, and the FCC, began looking at developing a tone system. And so Bell Labs, at AT&T, decided they were going to find two frequencies that would be clear in terms of what was being used at that time. They came up with the two tone attention signal. It's dissonant. It’s unpleasant. And it gets your attention. Frank: After some years of testing, the commission decided, finally, we're going to implement the use of this attention signal by all broadcast stations and we're going to expand the use of EBS to develop state and local EAS plans. There would be key stations, that would monitored by the other broadcast stations so that an emergency message could be distributed, to all the stations in given markets. Kelly: The primary entry point's stations serve two purposes. One is, in the case of some catastrophic where everything's gone, they're designed to survive and stay on the air and they cover 90-something percent of the population of the United States, but there are also one of the originating points for which the President's message would flow. So, it comes from the White House to FEMA and they send the message, they go to the primary entry point stations and then there's a daisy chain. Stations around those monitor the PEP station, they pick up the message, they play it. You're not relying on wired connections, these are all over-the-air connections. These PEP stations are so important to the nation’s warning system, that they’ve even been hardened against attack. Wade: Today FEMA has a relationship with 74 radio stations. We actually install power generation equipment and some other resiliency components and communications gear. The equipment we provide there is for them to primarily be able to operate for an extended period of time without commercial power. Frank: FEMA also worked with the Corps of Engineerings to specifically look for transmitter sites that were not in what we would call high risk areas. As an example, at that time, WABC's AM transmitter was not located in the city, it was was out of this high risk area, but they wanted to harden that transmitter site, so that staff could go and actually man this station from this shelter at that transmitter site. Of course, to date, the President has never activated a national emergency alert for real. But that doesn’t mean there haven’t been a few scares. More on that after the break. Only the President can activate a national EAS alert. At least, that’s true today. But back in the 70s, weekly tests were issued out of NORAD, the North American Air Defense Command at Cheyenne Mountain, Colorado. And in February of 1971, radio listeners across the country got a big scare. Frank: NORAD was in charge of activating the system. I guess, during a normal, weekly test, one of the operators at NORAD put in the wrong tape, so to speak. It was an actual alert tape, nationwide alert tape. For more than 40 minutes, many newsrooms waited anxiously for instructions until finally the all-clear code was properly sent. [play clip: WOWO-AM FALSE ALARM: This just in, and I’m quoting direct and being completely honest, it says “AT&T advises that The Airforce at Cheyenne Mountain in Colorado put the wrong message on tape. If you think this hasn’t been something here at the studio The Airforce evidently then at Cheyenne Mountain in Colorado put the wrong message tape on the wire. After this, the activation procedure was taken away from NORAD and now only the President can issue a national alert. But over time, other challenges began to arise with the EBS. Frank: In the late 80s, we were faced with a number of problems. 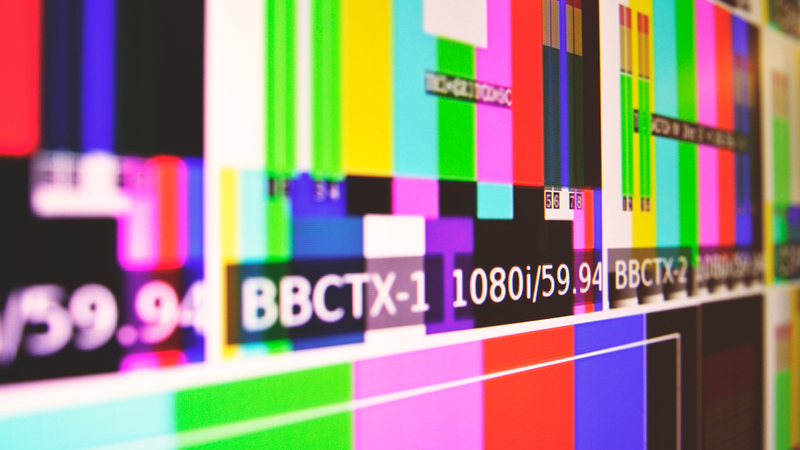 Broadcasters were becoming increasingly automated, and the EBS was not easily engineered so that the messages could be automatically rebroadcast. Also, a lot of subscribers were watching cable. At the same time, the National Weather Service was developing a technology to improve weather radio. It allowed data to be physically sent over audio channels, it was called Specific Area Message Encoding. Kelly: What you're actually hearing is a data burst. People refer to it as the duck quack. Its purpose is not to alert you. Its purpose is to send data down the line over the audio channel that a receiver can get and decode. But the introduction of the data burst didn’t signal the end of our attention signal. Frank: We wanted to keep the two toned attention signal, because it has two functions, 1) was it still caught the attention of people who were used to hearing that attention signal. And number 2), there were still hundreds of old EBS receivers out there that the public had, that would turn on when they heard that attention signal. So now with the Emergency Alert System, the content of the alert message is actually decoded from those three data bursts you hear at the top. And the group at the end is literally an “End of Message” signal that triggers the automated equipment to switch back over to normal programming. But it was the next technological leap that put the future of advanced warning right in the palm of our hands. Frank: Something needed to be done to move warning into the digital age, the internet age. As cell phones proliferated, there was a need to capture that industry to be a part of public warning. As a result, the Wireless Emergency Alert System was born. Wade: The system officially came online in April of 2012, and the first alerts from the weather service, went through to cell phones starting in June of 2012. The National Center for Missing and Exploited Children began sending amber alerts through that exact same system. These sudden alert signals can definitely be startling...especially when you’re in a roomful of people where all the phones go off at once. But… the ability to send Amber Alerts through the Wireless Emergency Alert system is saving children’s lives… and putting critical information in the hands of the public at a time when every second counts. This success story from California is one of the 40 successful rescues that FEMA attributes directly to the Wireless Emergency Alert. Wade: The system is limited to only 90 characters of space, so it's a very short message. Other key attributes that make it very effective is that it's broadcast from cell towers, so it's sent to any phone that happens to be associated with that tower at the time. So, no matter where you go in the country, as long as you haven't opted out on it on your individual phone, you'll get a message that's being broadcast in that area. This allows the system to target mobile users as they come into an alert area, not just in their home zip code. And through international cooperation, the system isn’t specific to American cell phones. Wade: If you travel to Canada and you have a phone that you got here in the United States that is Wireless Emergency Alerts capable, it will receive alerts in Canada and vice versa. Canada plans to introduce their version, later next year. I think they're shooting for late spring. There's public outreach and public service announcements going on in Canada right now that is talking to people about that tone. And while Canada’s system is slated to go online in 2018, Japan’s “J-Alert” system is already operational. And in August of 2017, it sent out the most terrifying message possible. The message said a missile had been fired from North Korea, and urged citizens to take shelter in a sturdy building or basement. Fortunately, this North Korean missile splashed down in the ocean. But events like this add to the tension across the Pacific. It serves as all-too-real reminder of the original reasons behind these alert systems. It’s also why the residents of Hawaii were terrified, when they heard this. For 38 minutes, people were scrambling for cover. There’s even a video floating around the internet where a family is putting their children into a manhole for safety. What actually happened was an employee mistook a drill for a real warning about a missile threat. He responded by sending the alert without sign-off from a supervisor. That employee was later fired, and an Administrator resigned. So even though human error has caused moments of confusion and widespread panic, it’s clear that the system is working. It’s quickly getting alert messages out to the people. And the next generation of TV broadcasting will be able to support even more advanced options. Kelly: There's a functionality in ATSC three called wake up bits. We can send something, make your TV go, "Hey," so if it's on, it'll react. If it's off, it might turn on. Embedded in that is the ability to send a lot more rich data. So for example if you had an Amber Alert, you could send over the air a picture of the child, a picture of the car. All this could be downloaded in the background, loaded down into a phone if it had a receiver into it, or your TV set. You push a button, you go, "Oh, look," and you look and see what the car is. I think the important thing to keep in mind is all of this is there for the general public's protection. Don't tune it out. If the President comes on, God save us, that means something really bad has happened. And that’s never happened, ya’ know where there has been a catastrophe large enough the President had use the EAS system to speak to the country. While broadcast TV and cellular devices can reliably receive warnings, there is still (ironically) a huge gap of communication through internet streaming. Wade: Today there's a slow transition away from people watching live content, my children rarely watch the television and when they do watch it, I don't think they watch anything that's live. They're streaming or they're watching on demand content or they're just sitting in the room where the TV may be, looking at their phone. I think a big gap we have right now is streaming services. Netflix, YouTube, Hulu, the gaming systems, so Nintendo and Microsoft Xbox. People, I think, get consumed into those things and the classic thing to speak is it's the kids in the basement that have no idea what's going on. I think maybe some of them are more connected than we give them credit for. Those devices today can pop a window up on your screen or if you're listening to a podcast, they can insert a commercial or they can insert other messaging into that stream. We would love to work with them to enable them to insert emergency warnings into that also. Twenty Thousand Hertz is produced out of the studios of Defacto Sound. A sound design and mix team that makes advertising, promos, and branded content sound incredible. If you also work in the television, film, game or advertising realm, drop us a note at hi at defactosound dot com. We’d love to hear from you. This episode was written, produced and edited by Jim McNulty...and me, Dallas Taylor. With help from Sam Schneble. It was sound designed and mixed by Nick Spradlin. Special thanks to Frank Lucia, Kelly Williams at NAB, Wade Witmer from FEMA and the FEMA public affairs team. The music in this episode is from Musicbed. They represent more than 650 incredible artists, spanning every music genre imaginable. Check them out at musicbed.com. We also have a playlist set up which features all of the music we’ve used at music.20k.org. Go listen to it the next time your working at your computer or in transit. Finally, as always, tell your friends, family, and colleagues about the show. You can also connect with us through Twitter, Facebook, or on our website - 20 kay dot org.